Globally, there is about 5 millions liters of wine behind the gates of Château Topoľčianky and approximately the same number of bottles leaves our cellars during a year. Since 1966, in the unique underground cask cellar, there have been 100 oak casks capturing spirit of the old times. The content of particular cask varies from 3000 to 11000 liters. 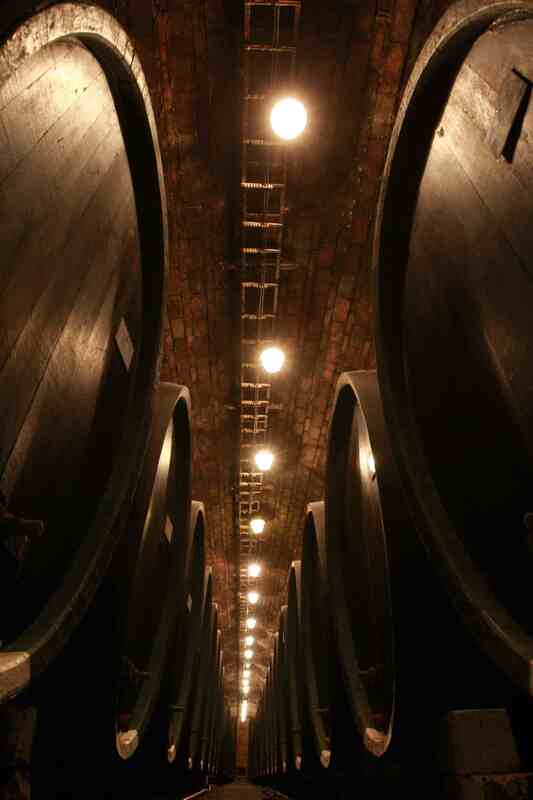 There matures 560 000 liters of red wines in them. They gain their right structure and velvet quality via tender micro oxidation, which runs through micro - porous surface of the wood. In the modern part of the cellar you can find more than 100 stainless steel tanks with the individual content up to 110 000 liters. The tanks are equipped with cooling, which ensures complete control of fermentation process. The need to process grapes from Southern Slovak viniculture area without anyloss of aromatic substances was satisfied by gaining new cellars in Štúrovo. Their capacity is another 5 000 000 liters.